eCOGRA have announced their "Play it safe" seal is to be added to seven more on-line poker rooms. The seal is awarded to poker rooms who have passed testing and inspection by professional teams from an international business services and auditing group. eCOGRA CEO Andrew Beveridge says: "This is to ensure compliance with the standards and requirements of eCOGRA concerning operational efficiency, fair and responsible gaming and player protection." Beveridge went on: "the eCOGRA initiative to present the online gambling community with a wide range of safe, honest and efficient online casino and poker room venues is now well established and handling a substantial share of the available online gaming business in a global sense." Euro Poker from the OnGame network. Royal Vegas Poker - all from the Prima Poker network. eCOGRA requirements for the seal are for each poker room to be financially stable and have adequate reserves. probity of poker room management is also inspected in detail, along with player protection measures, payout times and financial facilities, games fairness, responsive Support and general operational efficiency. 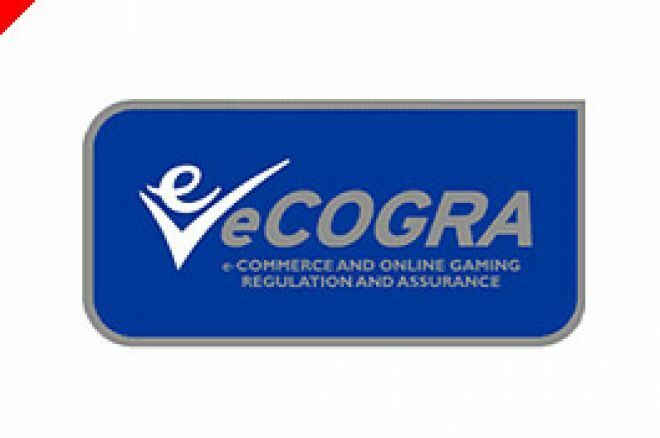 eCOGRA is an independent standards authority for the online gaming industry. To date 76 sites have been awarded the eCOGRA "Play it safe" seal of approval. Ed note: Play it safe at Euro Poker. Download Euro Poker now for a $150 bonus.